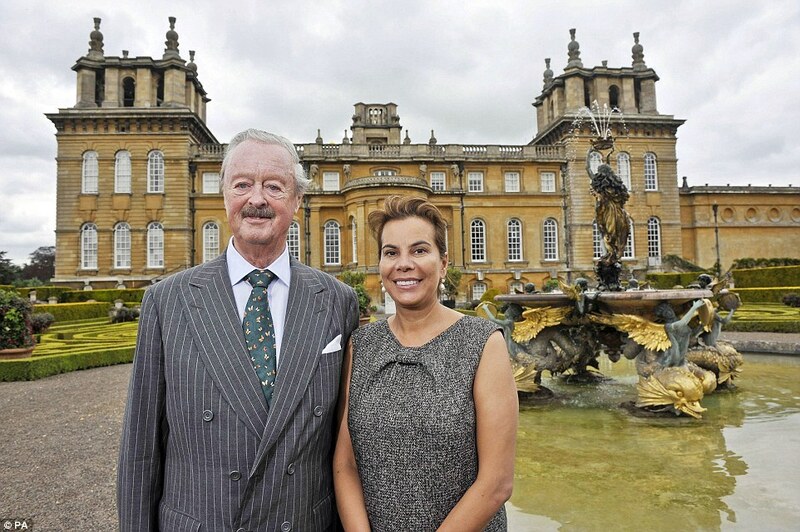 Each time I’ve visited Blenheim Palace in Woodstock, England, I’ve had at least a glimpse of the 11th Duke. Unlike many aristocrats, he made his very grand family seat his real home. Many owners of stately homes admit the public only grudgingly. But the 11th Duke really seemed to welcome the public with open arms, and he could regularly be seen striding through a courtyard or hurrying down a hallway. A ticket to Blenheim is good for a full year of visits, a real bargain for anyone who can visit the house and glorious grounds even twice in a year. Many Brits make it a regular stop. Sadly, my last visit, in September, was the last time I would see the 11th Duke. He died less than a month later, on October 16 of this year. When I entered the palace, I asked whether a tour of the private quarters was available–I never miss a chance to get a glimpse at how “toffs” actually live. The private quarters of a stately home are usually the ultimate in Shabby Chic–the authentic variety. The guide said, “I’m terribly sorry, but His Grace has a lot of guests. His brother is getting married today in the chapel.” Very soon, I spotted His Grace, mingling with his guests outside the private chapel before and after the wedding. He was 88 and walked with a cane, but his tall figure was still elegant and he had the same gentle smile. His Duchess–his fourth Duchess, to be exact–is Lily, a Persian beauty about 30 years younger. The marriage, a few years ago, raised eyebrows, but Lily turned out to be a rousing success as a wife. Not only did she make the Duke extremely happy, but she quietly worked on a reconciliation between the Duke and his heir. The Duke actually had to disinherit his oldest son, Jamie Spencer-Churchill, who was generally known as Jamie Blandford. It was a step almost unheard of in aristocratic families. They had been estranged for almost 20 years, because the heir had serious drug problems and even served time in prison for crimes such as forging prescriptions and road rage incidents. With Lily fostering a reconciliation, the reformed heir was back in His Grace’s good graces. On the death of his father, he became the 12th Duke. It appears that he will also inherit the property, although there is talk of some supervision by a board of trustees. For the wedding, the entire family was present and everyone seemed happy to be together. 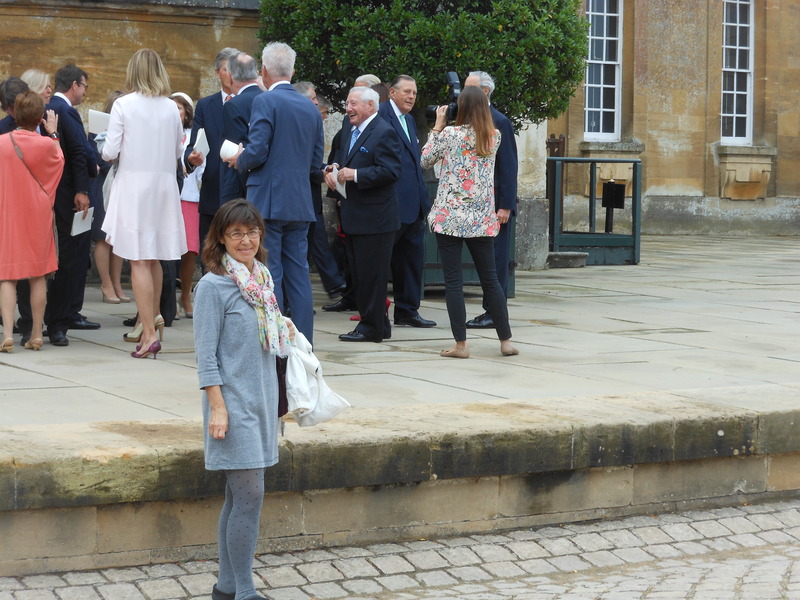 I took the opportunity to photo-bomb the occasion, which no one seemed to mind. Sadly, the elegant old Duke died in his sleep less than a month later. His son and heir, the 12th Duke, followed the solemn and affectionate funeral procession with Lily, now the Dowager Duchess, on his arm. 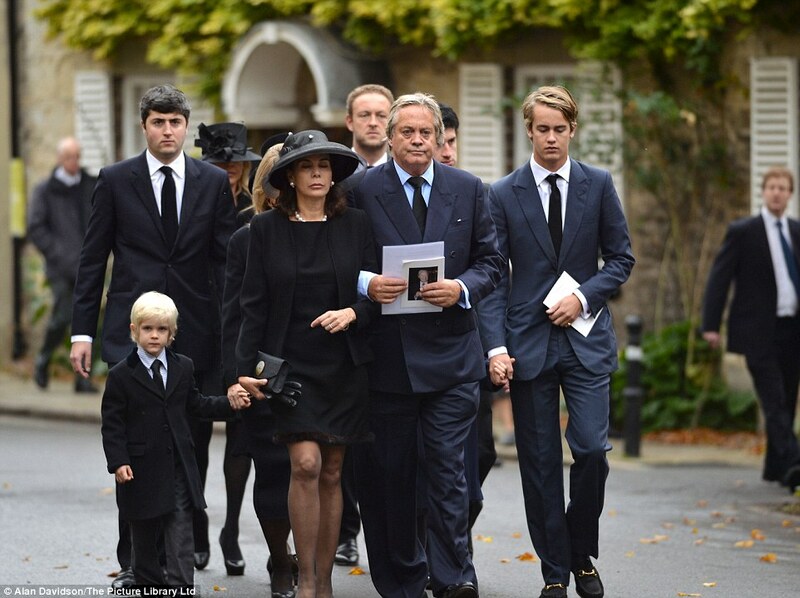 May the old Duke rest in peace, and may the young Duke (now 58) do his father proud. 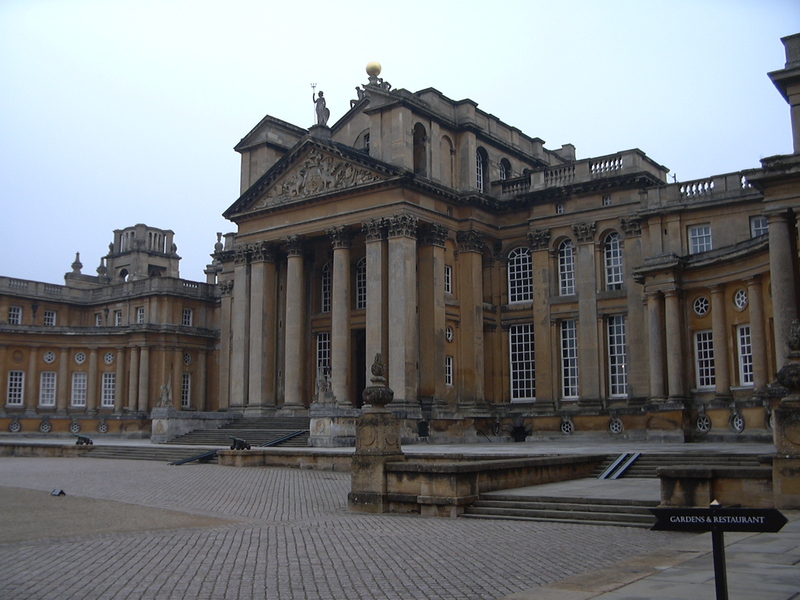 This entry was posted in British Isles, Castles and Palaces, England, Historic Homes, Historical Figures and tagged 11th Duke of Marlborough, 12th Duke of Marlborough, Blenheim Palace on October 29, 2014 by Claudia Suzan Carley.